Doesn't that peanut butter look perfect?! My first attempt at making peanut butter with my new toy was kind of a disaster. The end result wasn't really peanut butter, it was more like a peanut paste. Odd. It was my fault because I added some maple syrup to the peanuts before they were *completely* butterized (yeah, that's a word now) and the peanut paste never became smooth. That's cool, I used the peanut paste to make peanut butter blondies (same recipe as the almond butter blondies but with peanut butter... or paste) and they were grrrreat! Awesome stuff! Can't see the video? It's OK, don't feel left out, you can watch it on flickr. *EDIT: The video is one minute and thirteen seconds, but the actual peanut butter making process took longer! Roughly about eight minutes, including all the stirring that happened in between cycles. One pound of roasted peanuts made about nine ounces of peanut butter, and I turned some of it into peanut butter cups! These are nonconformist cups, because the filling is not the traditional one made with powdered sugar, this one is gooey and it's made with maple syrup. 1. In a small mixing bowl combine the peanut butter, coconut milk, maple syrup, and vanilla extract. Mix well and thoroughly stir in the salt and the ground almonds. Set aside. 2. 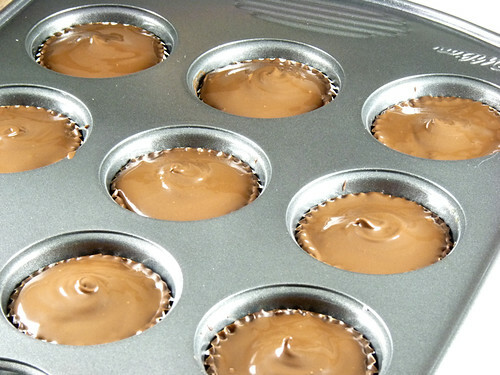 In a dry glass bowl, microwave the chocolate chips on medium power for 45 seconds. Stir the chips around a bit and microwave again, on medium power for 30 more seconds. Stir and repeat until the chippers are completely melted. 4. 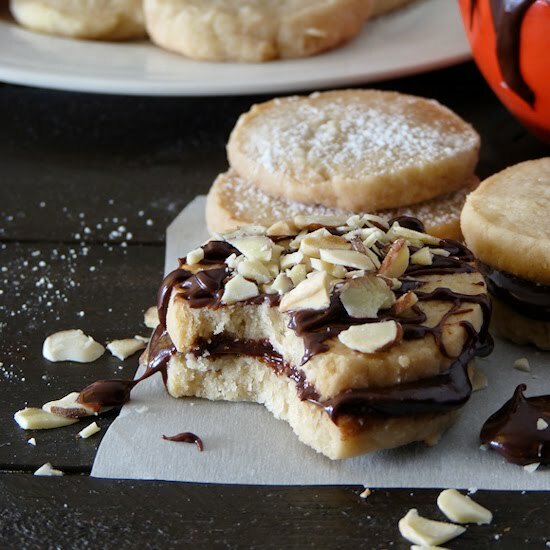 Fill each cup with the peanut butter filling, but don't fill them all the way up to the top, leave a couple of millimeters for the chocolate topping. The filling should be quite sticky. 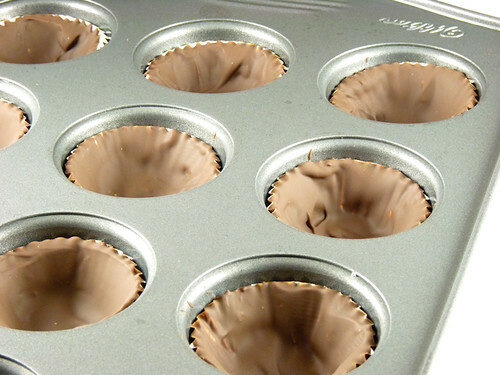 * I placed the cups in a mini muffin pan so they would have a nice even shape, but that's just my OCD talking. This is the bottom chocolate layer, already cold. Peanut butter filling. Sorry about the awful picture. 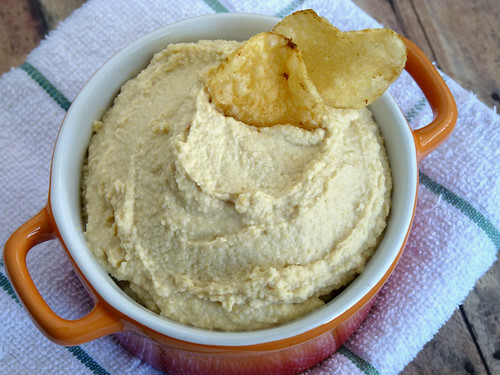 Perfectly smooth hummus. Yes, I eat hummus with potato chips. Millet milk. I don't drink plain milk of any kind. This picture is a sham! And as if I weren't spoiled enough, the mailman just delivered an awesome package from Alisa of One Frugal Foodie (and Go Dairy Free!) Oh yes, Alisa had an awesome giveaway and I was the lucky winner of four cookbooks! Four!! 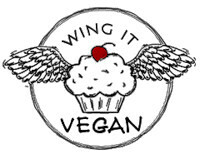 The contents of my bounty: My Sweet Vegan, Vegan Brunch, The Urban Vegan, and Ani's Raw Food Kitchen! Whoooo! Thank you again, Alisa! I am psyched!! Congratulations on your new blender. I know just how you feel because I just got a new (well, reconditioned) Vitamix. I tried it out today and made horrible soup. But it was my fault. Then I made ice cream that was a smoothie instead. I know I'll get the hang of it in no time. Right? The power is just awesome. Hahaha Andrea, you made me laugh. I think we've all made icecream into smoothies at some point! Good luck! Holy you-know-what, that's AMAZING. My husband and I just ogled your video and I am now plotting ways to get a Blendtec of my very own! The cuppies look delicious! wow, your video and photos look professional! The blog looks great, you must be having fun after your travels. Yum! I dream of having a Blendtec one day. I am very interested in your recipes for millet milk and brown rice milk- please do share them! I just drooled a little on my keyboard over your peanut butter. I still haven't done that myself, although that is what I was most excited to try with my Vitamix. Laziness will do that to you, I suppose. I have blender envy now! Watching you make that peanut butter was AWESOME! It's just like magic! And I've been meaning to make peanut butter cups for the loooongest time but I'm frightened because I just know I'd make a piggy of myself and scoff them all. Must make some for presents and give them away QUICKLY! You made your own peanut butter AND peanut butter cups? You are officially my hero. I can't get over how well your BlendTec blended those peanuts up. I wish my blender worked as well as that! It would probably take me an hour to make peanut butter. I love the nonconformist PB cups! I made the same mistake with almonds and ended up with paste when I added agave too soon--waa! But it was fun to just eat it as a candy or spread it on rice cakes. And of course I would LOVE your millet milk recipe! That sounds amazing! Now I'm off to watch your video. 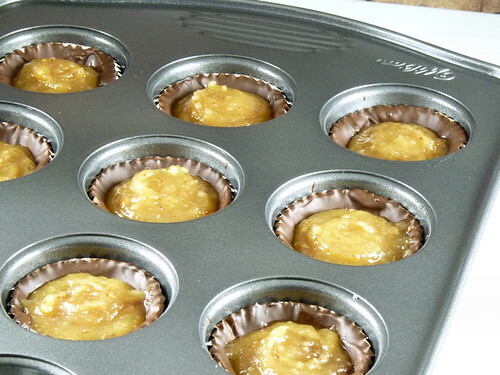 . .
oooh, a gooey PB center, that is non-conformist and such a great idea! 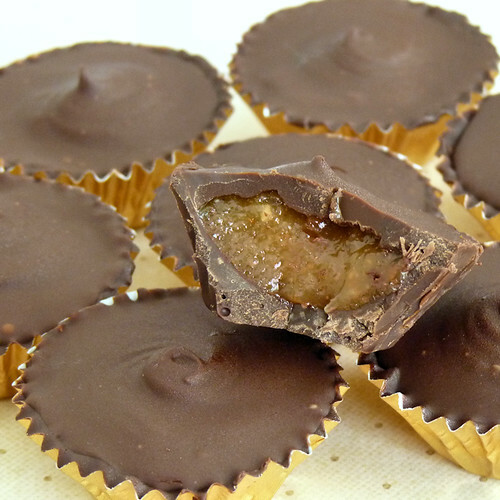 Can I tell you how much I love that you called these peanut butter cups non-conformist! These look SENSATIONAL! A blendtec, how awesome! I'm swooning over those peanut butter cups. Be still my chocolate & peanut butter loving heart! I love my blendtec! It is so awesome. Your pb cups look pretty amazing too! This Wing-It video might go down in history as being one of the cutest videos ever! I have a Vita-Mix and love it equally as much as you seem to love your Blendtec! They really are game-changers, aren't they? I'd personally love the millet milk recipe. I hadn't even thought of that as a possibility. What's next...quinoa milk? It wont let me watch the video, but I'll take your word for it! I am glad you are lovin yout Blendtec! Isn't it such a great investment? 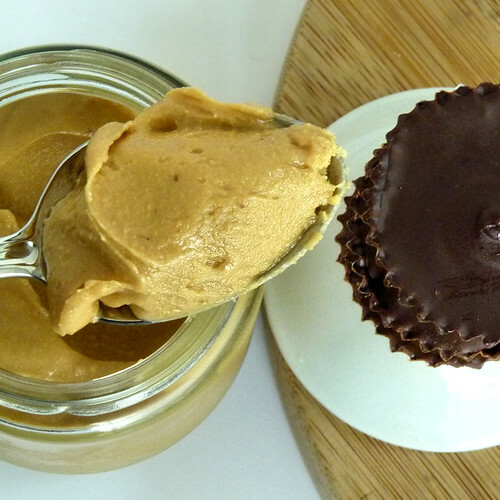 I need to make those peanut butter cups, like, immediately! Radioactivegan - (I love that name!) Blendtec lovers unite! I am curious to see how it compares with the Vitamix. Not curious enough to buy one though! Vegyogini - Aww, thank you! Was it the curtsey? I almost edited it out because it was so quirky! :D One recipe for millet milk, coming right up! Oooh quinoa milk! I'll try that next time I need to make a new batch of milk, which will probably be tomorrow. I love the video (and music!). And those PB cups look KILLERRR...oh my, that gooey filling! It almost looks like pecan pie filling, ::swoon:: Congrats on the Blendtec, and those 4 new cookbooks! I have all of them, and I can vouch that each one is awesome. I don't drink plain milk of any kind either so I love the sham. Chocolate soy milk though, that I can do. Yum, those peanut butter cups look fantastic! I have a blender envy also. :o) Some one recommended a Blendtec to me today. I am going to have to check it out, because I so need a new one! Congrats on your new cookbooks. I need to check those out! You have a great blog...love it! Everything looks great! I love my Blend-tec, too. I haven't made nut butter yet, but coincidentally, my husband asked just last night if we could start making our own nut butters. I've been looking at bulk places online to purchase some. Do you buy yours in any particular place? 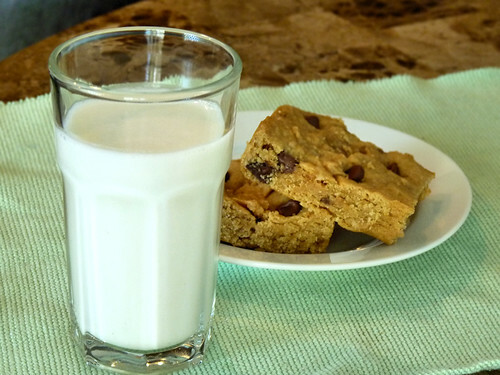 Funny - when I saw your milk picture, I automatically thought, "I don't know how people drink full cups of milk (even non-dairy) milk!" I just can't. Then I read your caption. Michelle - Thank you! I did ask the Blendtec guys if they would like me to host a giveaway for them, but I have never seen any Blendtec giveaways so I might just be dreaming here. Fingers crossed! Oh man, where to start...honestly, everything I have made from the Urban Vegan cookbook has been stellar. It may be my favorite of the four. The rosemary olive bread was really amazing. From My Sweet Vegan, you've gotta try the mocha devastation cake! So sinful...so delicious. Nonconformist they may be, but your peanut butter cups look better than any I've ever seen! I've been dying to get a blendtec or vitamix forever... maybe someday! Than I can make my nut butters looks just as smooth as yours. And I've gotta say, your chocolates look so perfectly tempered, I'm just a little bit jealous. I still struggle with that! Chocolate can be so pesky! The only reason why I can forgive its peskiness is because it's so yummy. Those peanut butter cups made me drool! Too bad I am staying away from sugar for awhile or I would be in the kitchen making these right now! Squee! So glad you're back. I've been missing your awesome foodage. I love how uniform the pb cups came out! I am super horrible at making candy of any kind. It comes out misshapen every time. Haha. Your gooey filling actually looks better than the "real thing". And I LOVE the real thing, so that's saying a lot. I made the peanut butter cups tonight and they came tres yummy! I made them in mini cupcake liners but I needed to double the recipe for some reason. I think the chocolate needs to be thinned out a bit as well. Hello there! I just found your blog via a link on Oh She Glows and I *love* it! Will definitely be subscribing to read more. 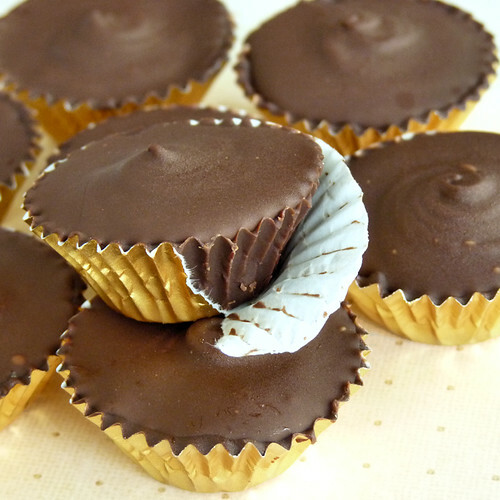 These peanut butter cups look scrumptious! I'm not sure why it showed up in my rss this morning either, but I'm glad it did, because those look amazing.